We recently built this Alfa 155 DTM tribute Stradale. This is the number #01 of a very limited numbered futur serie. 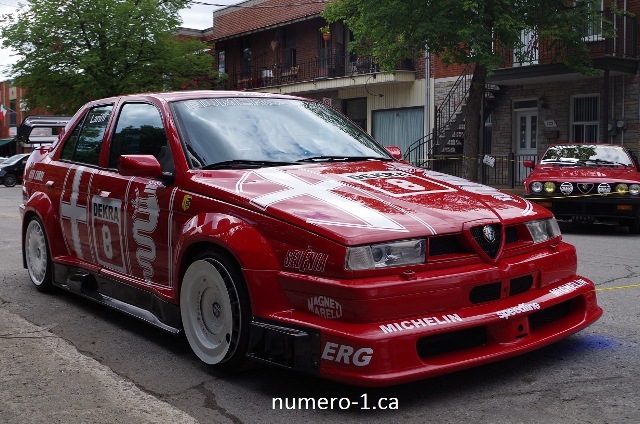 We are Alfa Romeo, Lancia Delta and Renault car seller, here in Quebec City, Canada. Our cars are very high quality. We can ship cars in North America, USA, Canada. Nous vendons des voitures européennes rares telles que LANCIA, ALFA ROMEO, MERCEDES, RENAULT etc.